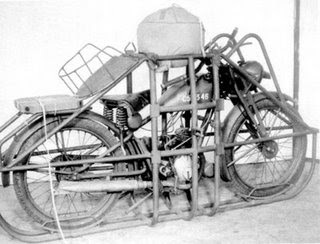 The Royal Enfield flying flea, the motorcycle designed to be dropped from airplanes, has a remarkable history. The origins have to do with the Germans preventing the Dutch from selling the DKW R98. David Blasco has the full story in his blog. 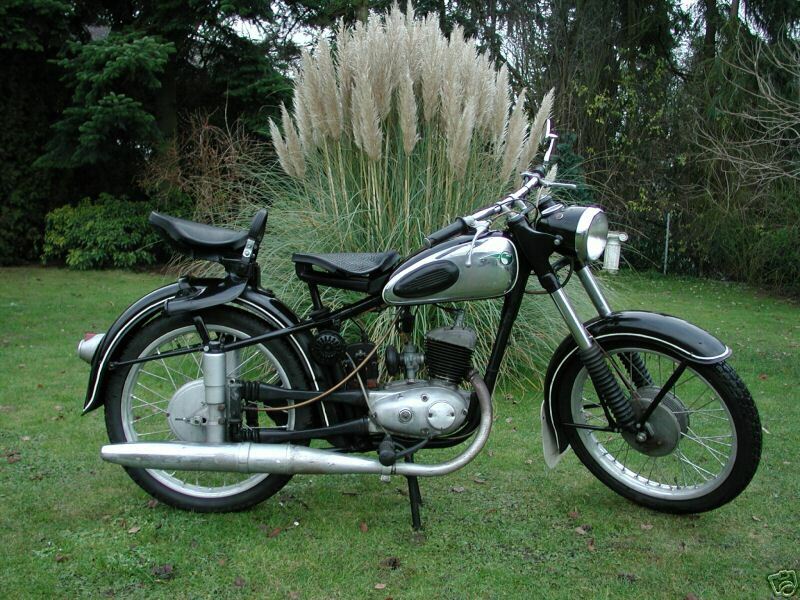 The DKW R98 was a 100cc machine, they also produced the R125 which actually resembles better the RE 125 Flying Flea. 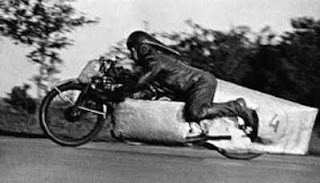 It turns out that the R125 is one of the most copied motorcycles in history and therefore the world is full of "cousins" of the Flying Flea. The Germans themselves set a factory to produce them in Minsk when they occupied Belarus. 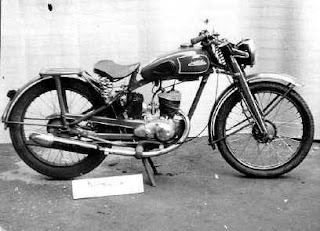 After the war, the factory continued producion of the Minsk Moto-Velo Zavod (MMVZ)M1A, also manufactured in a plant in Moscow under the Moskva brand. Looking at the picture one sees a springer suspension rather than the rubber belts of the Flying Flea. Even faired racing versions were produced! The MMVZ's were actually imported into the UK by Neval Motorcycles and the model was called the Neval. Minsk Motovelo still exists, having been privatized a few years ago, and still manufactures motorcycles mostly for export to Russia and Vietnam, where they get used for transporting sharks and other items, After the war, the design of the R125 was also given to BSA as part of war reparations. 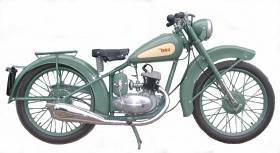 They used it to produce its Bantam model, a direct competitor of the civilian version of the Flying Flea, the RE 125. It included heavier fenders and telescopic forks. The Bantams were produced until 1971! Harley Davidson also got the design as war reparations, and used it to produce its "Hummer" model, Then in Japan a piano manufacturer decided to start production of motorcycles and toured German factories for inspirations. The result: the Yamaha YA-1 (aka Akatombo, the "Red Dragonfly"), which included a plunger rear suspension. The East Germans had their turn at adding plunger suspension with Industrieverband Fahrzeugbau, And of course, DKW itself continued production after the war in Germany. 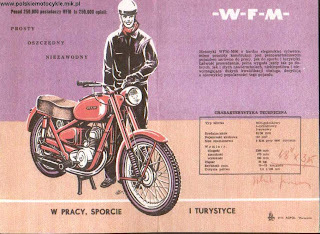 Not to be outdone, the Polish had the Warszawska Fabryka Motocyklowa build a clone, Which brings us up to India, where the Escorts group manufactured the Polish design under the brand Rajdoot in 1961. 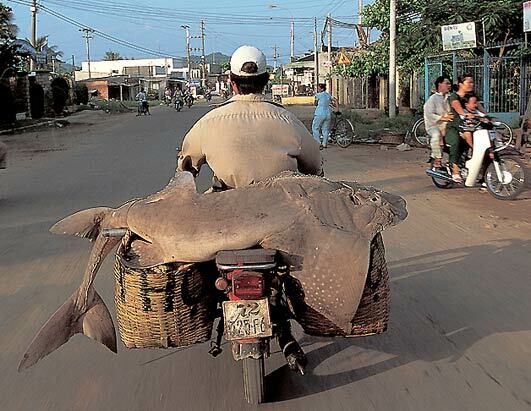 Production continued till 2005 when its two stroke engine ran afoul of pollution laws. So one can sort of say that for many years, if you wanted a bike in India, you could choose between a Bullet, a Crusader or a Flying Flea! I have not seen any mention of RE2's or Fleas in India (for instance in Gordon May's book). Some may have been sold, although I doubt any were manufactured in India.